About: Xie Meng 谢梦 is a young model from Beijing, China and works for a famous fashion magazine known as Xin Wei 昕薇. Xie Meng became popular after appearing in a Jiangsu TV programmed known as "Xing Fu Wan Dian Ming" 幸福晚点名. 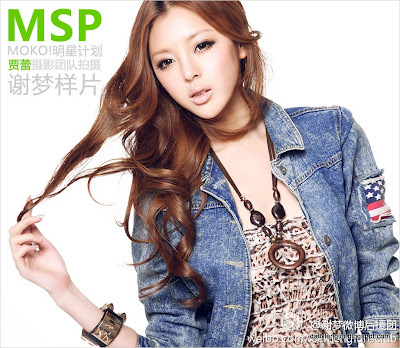 Graduated from the Communication University of China 中国传媒大学, Xie Meng is also a car show model. Xie Meng participated in the 2010 Beijing International Automotive Exhibition representing Aston Martin and eventually became the 2010 Beijing Auto Show champion.